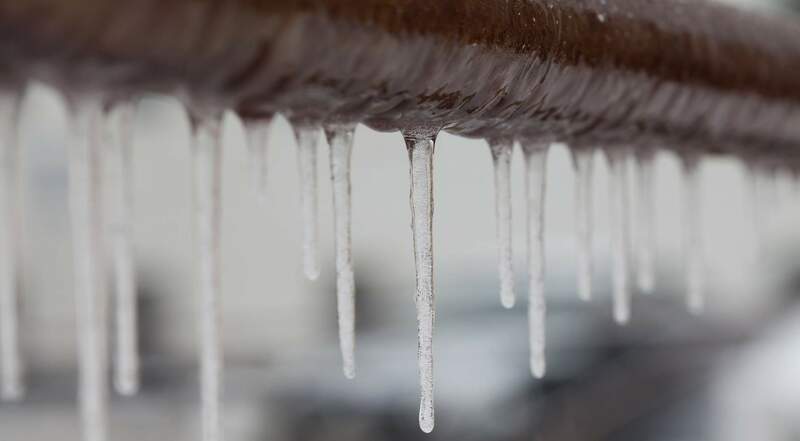 Now that more seasonal temperatures have set in, it’s time to think about frozen pipes. That is, avoiding the misery a frozen and/or burst pipe can cause. Here are some tips to help prevent a loss and alleviate the damages if one does occur. Keep the heat up; now is not the time to skimp on utility costs if the temperatures get below freezing or lower, especially in colder areas that may contain water supply or discharge lines. Extreme exterior temperatures can chill otherwise uninsulated exterior walls, and position a water claim waiting to happen. Procure or locate temporary (or permanent backup) gas-powered portable heating units for critical boiler rooms subjected to intake air from the exterior. Some firms experienced loss to boiler rooms as utility outages resulted in loss of heating to these critical areas. All it took from there was an air vent and wind-driven cold to freeze supply lines and in some instances the boiler cavities themselves. Insure that water supply lines in any air plenums, crawl spaces, lobbies, and foyers are insulated adequately. Have your plumbing contractor verify same. Maintain appropriate maintenance intervals with boiler equipment. Locate and label water mains or stop valves and ensure that key personnel know their respective locations. Repair leaking valves, joints or other connections as soon as discovered. Train key personnel in the location of and emergency shut down procedures for domestic and sprinkler water sources. It is imperative that the development of the procedure for the emergency shutdown of sprinkler systems is coordinated with the local fire department. Some fire departments do not allow sprinkler water supplies to be shut down prior to their arrival. Increase as necessary inspections of the facility. Be very cautious of thawing frozen pipes – do not use open flame. If a break is suspected, contact a qualified plumber before thawing pipes. Repair and restore fire water supply as quickly as possible. A water mitigation contractor can help mitigate a loss more effectively than a typical building or remodeling contractor. Consider research before the weather gets extreme in order to identify a firm well-versed in proper dry-out techniques. Once identified, keep their information handy or consider signing them to a retention contract so they can respond immediately if/when an event occurs. Key personnel should have plumbing contractor’s contact information. The plumbing contractor should have a basic knowledge of the premises so that identifying problem areas and tapping off continued water supply can be done quickly. Move company or personal assets to dry areas. This will assist any mitigation professional’s labor and expense to quickly access wet areas. Initiate a spreadsheet to document costs specifically related to the loss. Categorize them to structure repairs, contents dry-out and losses, and costs associated with keeping your business running in the wake of the event. Insurance adjusters will look to classify claims costs into at least these three categories, where applicable, in order to set company claim-reserves. Proper documentation of the business financials throughout the year can help a great deal. In the event of a claim, insurance adjusters will look towards prior performance in order to establish business Interruption losses during a period of restoration. Effective prevention measures and post-loss mitigation techniques can either avoid or relieve claim costs, respectively. Both can have positive effects in reducing claims frequency and severity. Perhaps we’ll be spared double-digit extremes for the next several years or more. However, planning for the worst is better than no plan at all. Reduce costs, save time and increase productivity. Oswald OnTrack is a secure, web-based risk management and safety platform designed to ease compliance, improve risk prevention efforts and results, and relieve regulatory pain points for any industry. The programs are simple to set up and easily create a comprehensive and cost-effective risk management and safety program that can be utilized by all departments. Oswald OnTrack, powered by Succeed Management Solutions, enables the oversight and management of multiple locations and departments, making it a perfect resource for the safety-conscious organization. Visit our Oswald Risk Consulting: Safety & Loss Control page or contact Oswald here.